The research was conducted at the Scottish Association for Marine Science (SAMS), which found that massive warm waves melt the ice from below. The Greenland ice sheet contains nearly 650,000 cubic miles of ice and is the second largest ice sheet on the planet. Due to climate change, it is also the second largest contributor to global sea level rise. The ocean physicist dr. Neil Fraser at the SAMS Laboratories in Dunstaffnage near Oban has created a computer model of how giant waves beneath the surface of the Atlantic drive relatively warm water into the Greenland fjords. The scientific name is "Coastal waves of internal waves". They measure 140 m from trough to summit. The waves are warm, though this is a relative term in the Arctic winter that is a few degrees above zero. They are generated by strong winter winds in the Northeast Atlantic. Dr. Fraser described it as a "perfect storm scenario". He said, "These waves push warm water into the fjord and towards the glacier, melting them hundreds of feet below the sea surface." The team used computer simulations as it is difficult to study the system in extreme Arctic winter. The marine scientist Sam Jones has used this model to create animations that accurately reproduce the flow of warm water into the fjords and under the ice cover. It builds on the work of Prof. Mark Inall of SAMS, whose field studies of the fjord in summer indicated that the waves could undermine the ice. 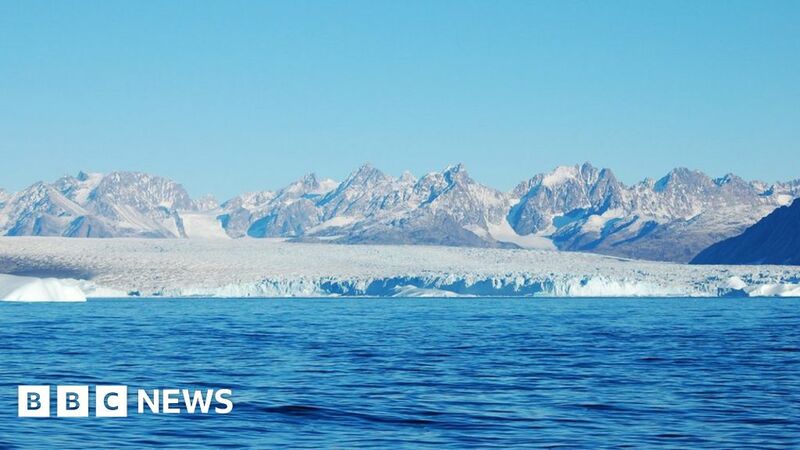 Greenland's ice melt accelerates and meltwater volume reaches unprecedented levels. According to SAMS, an estimated 600 gigatons of water flowed into the ocean in 2012. 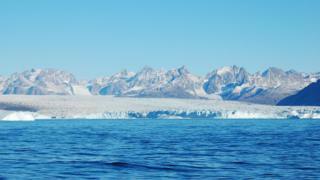 Greenland accounts for more than 20% of annual sea-level rise. Models like Dr. Fraser contribute to a better understanding of what happens and what could happen next.